Who’s Ready To Save On Insurance? People love to save money. Don’t you? We’ll drive across town to save a few bucks on fuel, we bundle our phone & cable, use loyalty cards, and scour the weekly grocery flyers to find the best deals. But when it comes to car insurance most people don't take action to save. They let their policy renew automatically, they fail to compare quotes, and, as a result, they are missing out on insurance discounts and savings. With car insurance rates on the rise, finding ways to save money on car insurance has never been more important. Want to save on auto insurance? All drivers do! 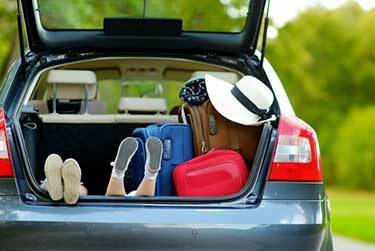 We have the car insurance savings tips to help you lower your insurance costs. Saving is much easier than you think. For more than 45 years, we’ve helped drivers get the best coverage and quotes. Here's are our Top 45 Tips to save on car insurance. With these car insurance savings tips you could save hundreds every year! Just like the well-known real estate mantra for home buyers and sellers is location, location, location, when it comes to saving on car insurance, one of the most important things you can do is compare, compare, compare. Think about it, if you’re only getting one quote from a single insurance company, what are the odds that it’s the lowest quote out there? Only by getting multiple quotes and comparing them can you know for sure. Working with an insurance broker is always your best option to save on auto insurance. They are insurance experts who work for you. A broker’s job is to help you find the cheapest car insurance rates. Brokers also understand all the tips and tricks to save on car insurance. They can help you compare quotes, make sure your coverage meets your insurance needs, provide expert advice, and they are your advocate when dealing with insurance companies. Do you drive? Rent or own a home? Then you can benefit from a home and auto insurance bundle. Combining insurance coverage will immediately qualify you for a discount on both your auto and home insurance. You could save up to 20% on car insurance and 10% on home insurance. Ask your insurance broker for more information about how to combine your policies. 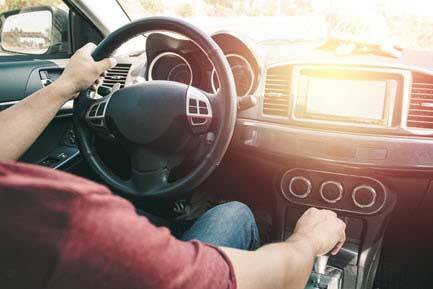 Insurance companies now have coverage that rewards good drivers with savings discounts. These are called Usage Based Insurance (UBI) or Telematics insurance programs. They monitor driving habits such as quick acceleration, hard braking and the time of day you drive. Typically you receive a 10% discount as soon as you sign up. And depending on your driving habits, you can save as much as 25% when it comes time to renew. These programs are great for all good drivers but young and new drivers can really benefit as it helps them build insurance history much quicker. Car insurance deductibles and premiums are directly linked to each other. By raising your insurance deductible – the amount you pay before your insurance pays the rest of a claim – your premium will decrease. Premiums can drop by as much as 15% to 30% on your collision and comprehensive insurance depending on how much you increase your deductible. With diminishing value of an aging vehicle, you’ll want to determine if the deductible you’ll pay in the event of a claim and what you pay for the coverage is worth it. Consider this rule of thumb : If your car is worth less than $3,000, you probably want to drop the collision and comprehensive coverage. One of the reasons auto insurance rates are higher in Ontario and Alberta is because auto theft is more prevalent than in other provinces in Canada. Having an anti-theft device will help lower your rates and make your vehicle less of a target for thieves. Whether you have a high-tech alarm system that shuts down your fuel pump or starter motor, or a lower-tech visible “club-like” theft deterrent, you will qualify for a discount. If you only use your vehicle to drive short distances, for example, 5 km or less back and forth to work, you should be paying a lower premium than someone driving the same vehicle further for their daily commute. Talk to your broker about how much you drive to see if there is a low mileage discount available from your insurer. There are many types of discounts available to help drivers save on car insurance. Car insurance discounts vary from company to company so ask your insurance broker or company what discounts you may be eligible to receive. Car insurance is much more expensive for new and young drivers who don't have a lot of driving experience or a history as an insured driver. Taking a Ontario Ministry Of Transportation approved driver training course will qualify young and new drivers for additional auto insurance savings. Many save up to 10% upon completing driving school. More importantly, it will teach you how to become a safe and effective driver and establish good driving habits. Keeping a clean driving record is one of the best ways to keep your car insurance costs down. If you have traffic tickets on your record or have been involved in an at fault accident, you can expect your car insurance rates to increase when your policy comes up for renewal. Drive safe – avoid distracted driving, obey all traffic signs and rules, and stay home if road conditions are poor. The type of vehicle you drive impacts your insurance costs. More expensive and rare vehicles cost more to insure. For example, you can expect to pay more for auto insurance for a luxury sports car than a sedan or SUV. If you are in the market for a new vehicle, consider insurance costs as part of your decision making process. Insurance friendly vehicles have great safety ratings, are less prone to break downs, and are not common targets for thieves. Driving an environmentally friendly car is not only good for the environment, it’s good for your wallet too! Many insurance companies offer a discount of up to 10% for drivers with hybrid or electric vehicles. Going green pays off in the form of car insurance savings. Have multiple vehicles in your household? Insurance companies offer a discount of up to 10% for combining all vehicles under the same policy. This means each vehicle insured will save up to 10% off their premium. The more cars you have, the more you will save overall. Using winter tires makes driving safer. It provides drivers with better traction, helps them stop quicker and more effectively in snowy conditions, gives you peace of mind, and it will save you money on auto insurance. Save up to 5% for using winter tires. Notify your insurer to make sure you are taking advantage of this discount. 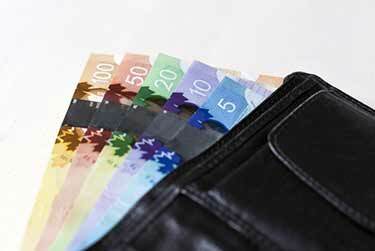 Paying your auto insurance premium in full rather than paying monthly or quarterly will save you money. Insurance companies charge an administrative fee to process monthly payments. You will save this fee by paying in a lump sum. Some insurers also offer a slight discount to incent you to pay in advance. Did you know you can qualify for a discount for driving a new car? When you purchase a new vehicle that is less than 3 years old you can save up to 10%. Some restrictions may apply. Speak with your insurer for more details. Are you a senior? Recently retired? Over 50? Most insurance companies offer discounts to retirees, seniors, and mature drivers over 50 with good driving records. In some cases you could save up to 10%. Insurance companies like loyal customers and they reward them in the form of a car insurance discount. Customers are rewarded when they renew their policy each year. The longer you are with the company, the greater the discount. Save 5% to 10%. However, even though insurers offer a loyalty discount, it’s still a good idea to compare car insurance quotes to see if cheaper rates are offered by other insurers. Are you a full time student between the age of 16 and 25? If you have good grades, your insurer may reward you with a discount of up to 10%. You may need to provide a report card or transcript to qualify. Remaining claims free is important to capitalize on as many car insurance discounts as possible. Be strategic about filing smaller claims. Considering your deductible amount, does it make sense to file a claim and risk your rates increasing? Always assess your options before deciding to file a car insurance claim. Do you have children that are away for college or university? Make sure to notify your insurance company. If they are listed on your policy, you can save money on their coverage while they are away studying. Save up to 30%. Many post-secondary institutions and professional associations offer group insurance discounts for their members or alumni. If you are part of a professional group or graduate of a post-secondary institution, you pay qualify for a group insurance rate. Car insurance policies typically last for one year. A lot can change in a year. Reviewing your policy each time it comes up for renewal is an opportunity to assess your coverage needs, find new discounts, and adjust your policy to capitalize on cost savings. 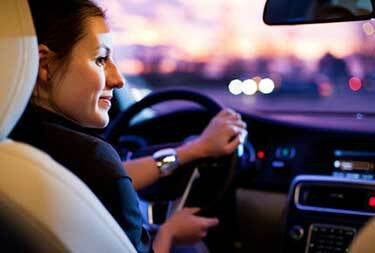 We all know that young drivers pay the most for auto insurance. Even without a full drivers licence, there are insurance discounts available as new drivers graduate through each level of the graduated licensing program. 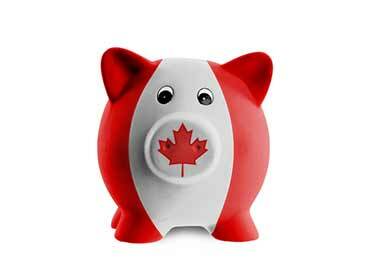 You can save 10% when you move from your G1 to G2 and another 10% when you get your full G license. Get your full license as soon as possible to maximize savings. Insurance rates are determined based on the information you provide when getting a quote. Always review your policy to ensure the details about your driving history, vehicle, and personal information is correct. An error on your policy could cost you money. More is not always better when it comes to car insurance. You can have too much coverage and it cost be costing you in the form of higher rates. Some types of coverage may not be applicable to you and increasing your coverage limits too high may not make financial sense. Speak with your broker to make sure you have the right amount of insurance coverage for your specific driving needs. Parking in a garage or a private driveway as opposed to the street or in a public lot could qualify you for a discount. Parking in a garage keeps your vehicle safe and reduces the odds of it being stolen, a claim being filed for weather damage, or having your vehicle damaged or vandalized. Focusing on safe driving practices is your best defense against at fault accidents. Pay attention to your surroundings, adjust your driving based on weather conditions, and avoid distracted driving. Adding aftermarket parts and modifying your vehicle will increase its replacement value, increase repair costs, and make it more likely to be targeted for theft. All of these factors could increase your car insurance rates. Think about the insurance repercussions before making changes to your vehicle. Having a gap in your history as an insured driver is not a good thing. Maintain your record as an insured driver as long as possible. A lapse in coverage could impact your premiums and make it more difficult to find coverage. Have you thought about installing a dashboard camera? They are a great safety feature. While they won’t directly save you money on insurance, they can be a valuable asset to have if you were involved in an accident, have your vehicle stolen or targeted as part of an insurance fraud ring. Many drivers simply allow their policy to automatically renew. While automatic insurance policy renewals are convenient, you could be leaving money on the table. Policy renewal time is your opportunity to compare car insurance quotes and look for cost savings. Don’t pass it up! Where you live can have a large impact on your auto insurance rates. Your province, city, and even your postal code are factored in when insurers set rates. If you are planning on moving, make sure you consider insurance (home and auto) as part of your decision. The drivers you include as occasional drivers on your policy will influence your insurance premiums. Adding new, inexperienced, or high risk drivers to your policy will increase your rates. If you have a driver on your policy that is considered high risk, consider removing them to lower your rates. Accidents happen. Drivers get tickets for traffic infractions. It’s common. If you have a couple blemishes on your driving record you can save on insurance by working to improve your driving record. Avoid getting any additional tickets or being involved in at fault accidents. Once your ticket or accident is due to come off your record, make sure it is removed and notify your insurer. Combining households? Moving in with your partner or even a roommate? Why have two separate policies when you can have one? Combine insurance coverage to take advantage of a variety of discounts. Speak with your broker about your options. Now is always the best time to notify your insurer of changes. Whether you are moving, need to add a driver to your policy, are getting a new car, or need to update your personal information, updating your policy could result is a more affordable car insurance premium. Missing an insurance payment or two could be a costly mistake. Missing a payment is grounds to have your policy cancelled for non payment. If your policy is cancelled, you could be labelled high risk and have issues getting insurance coverage. If you do find coverage, it will be significantly more expense. Set up automatic payments and always pay on time. Have a seasonal vehicle? Drive a motorcycle? What about a recreational vehicle? If you only drive a vehicle part of the year, adjust your insurance policy when it is in storage to reduce your coverage and insurance costs. Even if you are an experienced driver, driver training can still help you save money. Completing a defensive driving course from an MTO approved driving school could qualify you for an insurance discount. Check with your insurer to see if they offer a discount for additional driver training. If you decide you want to switch insurance companies, try to do so upon renewal. Insurance companies will charge a cancellation fee if you want to way to switch before renewal. Some insurance companies offer customers a discount for going paperless. Get your bills and insurance policy online and save. We started with a tip about comparing quotes and this is where we will end. Each year you have the opportunity to compare quotes. If you compare quotes every year, you ensure you are getting the best rates possible year over year. This will help you maximize your car insurance savings. Talk to your broker or insurance company about applying some or all of these tips and see how much you can save on your car insurance.